I am often filled with ideas of topics to write about and share, but it is once in a blue moon when I come up with a creative idea. In this case, I am referencing the title of my site, Our National(s) Pastime. I thought for a long time about different titles, some better than others, but this kept coming back to me as one I knew would stick and that I would enjoy using. I decided to go for it and debut the site with a name I must say I was pretty excited to have thought of myself. A little while after I published my first post, I Googled Our Nationals Pastime for fun to see what would come up. Lo and behold, I was not so creative after all. In an instance of pure and complete coincidence, Dan Kolko, the Nationals beat writer for MASN, had named his site Nationals Pastime. His site can be found here. 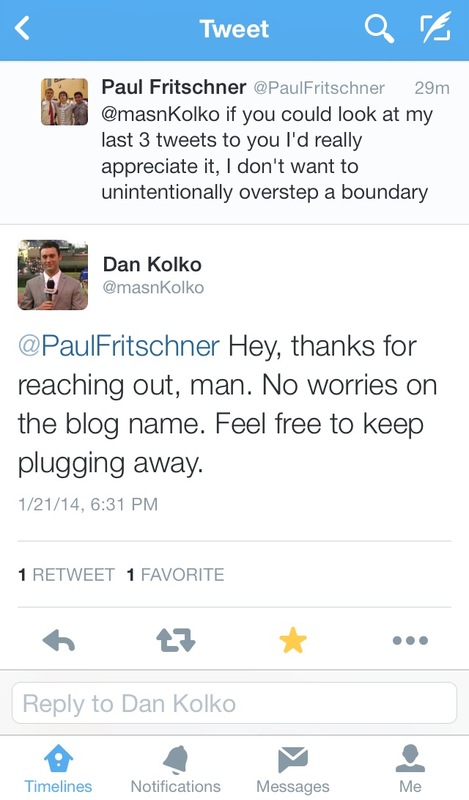 I quickly reached out to Dan via Twitter to make sure he didn’t mind me using a name extremely similar to his. I also didn’t want to run into any legal trouble for something I had done unintentionally and worked for so long to accomplish. Thankfully, he responded quickly and gave me the all-clear. So I am now all good to go, barring any unforeseen roadblocks such as this one. Also, be sure to Subscribe to this via Email on the right side of this page. I assure you your inbox will not be flooded with junk mail, only notifications of when I post. Comments and responses are much appreciated as I get this going and seek to improve my writing skills. I hope to make this informative as well as fun to read.